In this Photoshop tutorial, we'll learn how to add bubbles to a photo by creating our very own bubble brush! We'll draw a simple bubble, save it as a Photoshop brush, customize its behavior using the Brush Dynamics options in the Brushes panel, then use the brush to paint bubbles into a photo! 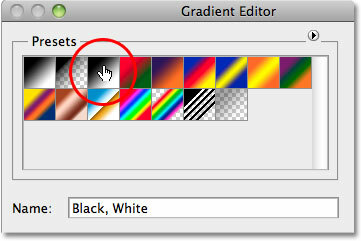 I'll be using Photoshop CS5 throughout this tutorial, but any recent version of Photoshop will do. Click and hold on the Rectangular Marquee Tool, then select the Elliptical Marquee Tool from the menu. The selection outline will become the shape of the bubble. The selected area is copied to a new layer. 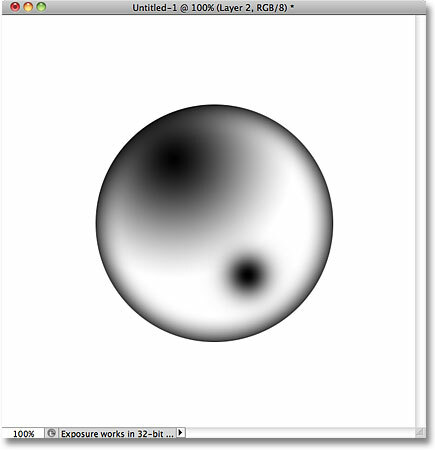 Changing the blend mode from Screen to Multiply turns the glow into a shadow. The Inner Glow provides the outer edges of the bubble. Click on the gradient preview bar. 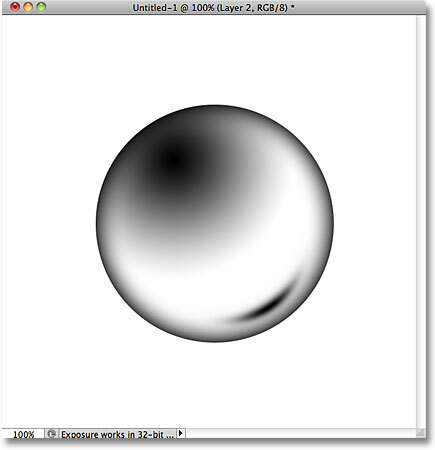 Click on the black-to-white gradient's thumbnail. Change the Style to Radial. 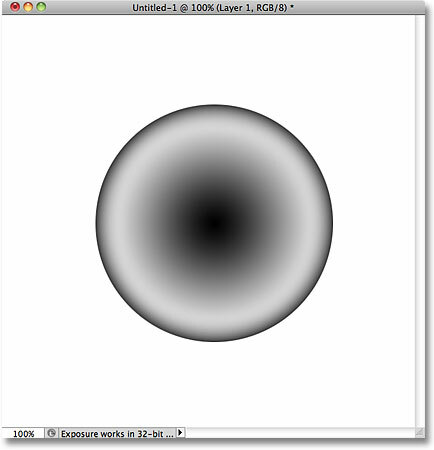 The gradient after changing the style to Radial. 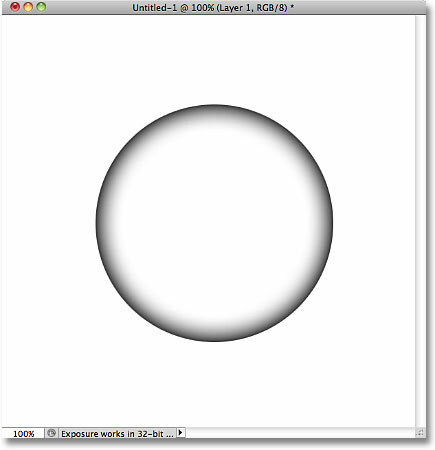 Drag the black center of the gradient into the top left of the bubble. Click once in the bottom right to add a small highlight. 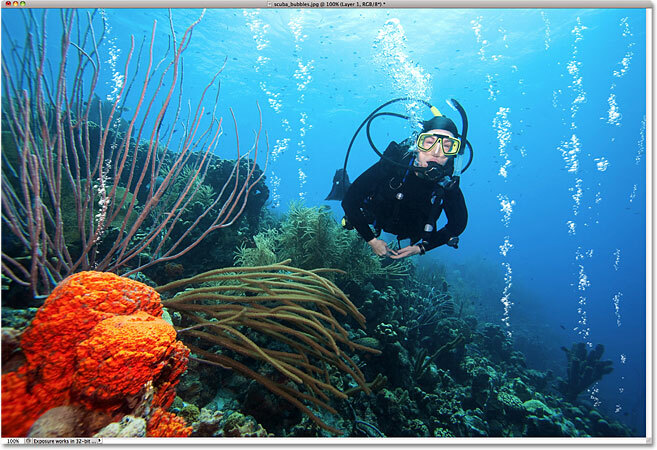 Hold Ctrl (Win) / Command (Mac) and click on Layer 1's preview thumbnail. Drag the Amount slider all the way to the left. The smaller highlight now appears to curve around the bubble. Name the new brush "Bubble". And with that, we're done creating our initial bubble brush! We still need to customize its behavior, but we're done with the bubble's document window so you can close out of it at this point. Add a new blank layer above the photo. Click on your bubble brush's thumbnail to select it. 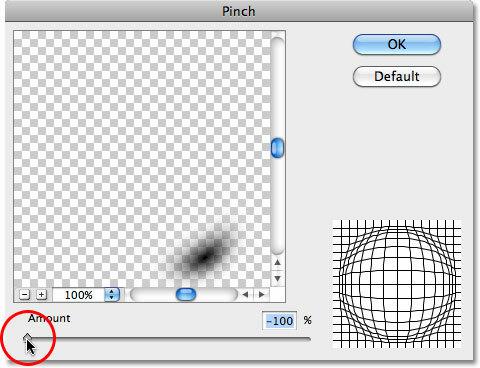 Press F5 to open the Brushes panel, then click on Shape Dynamics. Make sure your Foreground color is set to white. The image after painting in vertical columns of bubbles. Press Ctrl+J (Win) / Command+J (Mac) to make a copy of Layer 1. 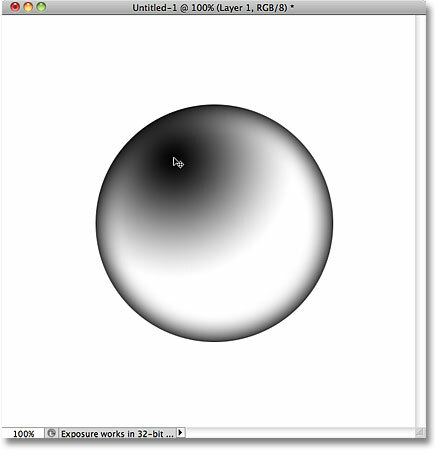 Set the Radius to 8 px. The Gaussian Blur filter added a soft glow to the bubbles. And there we have it! That's how to add bubbles to a photo using a custom brush in Photoshop! Visit our Photo Effects section for more Photoshop effects tutorials!